After much devastation and shocked brought about by the Manchester Terror Attack, plenty of heroes surfaced. One of which was the pop star Ariana Grande. Twenty two people are now confirmed dead and 119 more injured when a bomb exploded right after Ariana Grande’s Dangerous Woman Tour Concert at the Manchester Arena finished. The tragedy broke the singer’s heart. She later on posted on Twitter to express her anguish. Ariana’s concert was sold out and was attended by many youngsters who idolize her. Sadly, most of the casualties were children. Though shocked and possibly traumatized, the singer has reached out to the victims’ families and offered to shoulder their funeral expenses. This information was shared by a fan site dedicated to Ariana called Ariana Updates! Although there was still no official confirmation from the pop star’s representative or management, netizens were already expressing their admiration over the singer’s actions. Other Hollywood celebrities such as Taylor Swift, Katy Perry, Harry Styles, and Selena Gomez also expressed their condolences on Twitter. Grande’s third time hitting the international concert circuit which kicked off last February in Phoenix. Organizers expressed their deep concern about security in the wake of the attack. Identified victims were eight-year old Saffie Roussos and 18-year old Georgina Callander. Callander was even able to meet the singer during a meet-and-greet session before the concert started. 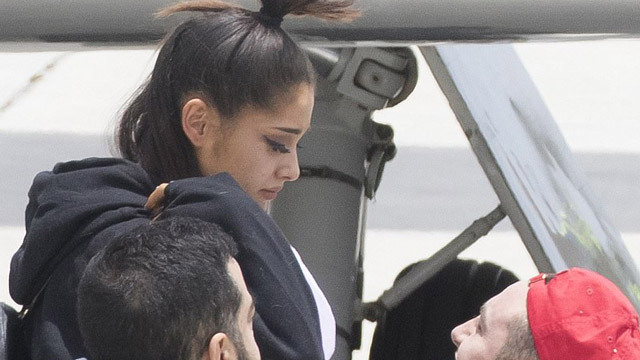 Ariana’s mom Joan, who was also present during the attack, was able to assist as many as 10 children leading them backstage to safety. She reportedly comforted the youngsters until they were safely evacuated by the police as soon as they arrived.